Santa Cruz de Tenerife Tenerife is beautiful and has lots of hotels. Ofcourse we are only looking for the best hotels in Santa Cruz de Tenerife Tenerife. 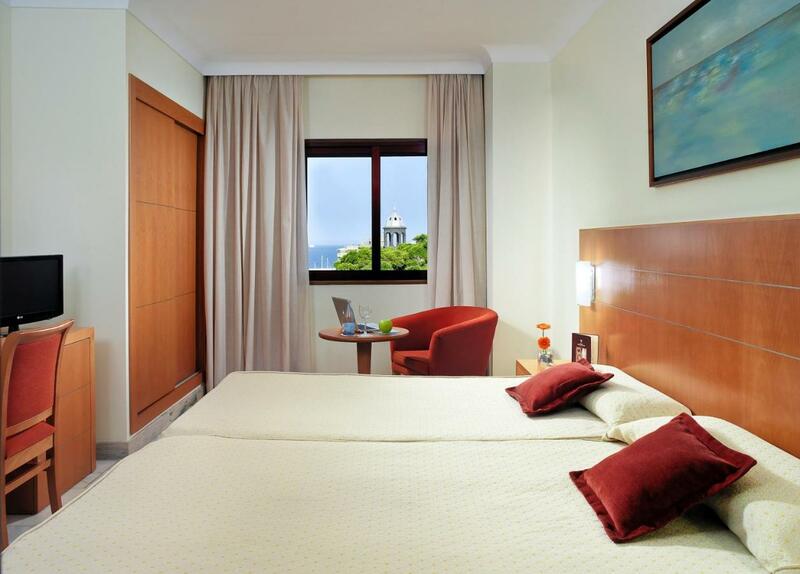 It’s important to compare them because there are so many places to stay in Santa Cruz de Tenerife Tenerife. You’re probably wondering where to stay in Santa Cruz de Tenerife Tenerife. To see which hotel sounds better than the other, we created a top 10 list. The list will make it a lot easier for you to make a great decision. We know you only want the best hotel and preferably something with a reasonable price. Our list contains 10 hotels of which we think are the best hotels in Santa Cruz de Tenerife Tenerife right now. Still, some of you are more interested in the most popular hotels in Santa Cruz de Tenerife Tenerife with the best reviews, and that’s completely normal! You can check out the link below. 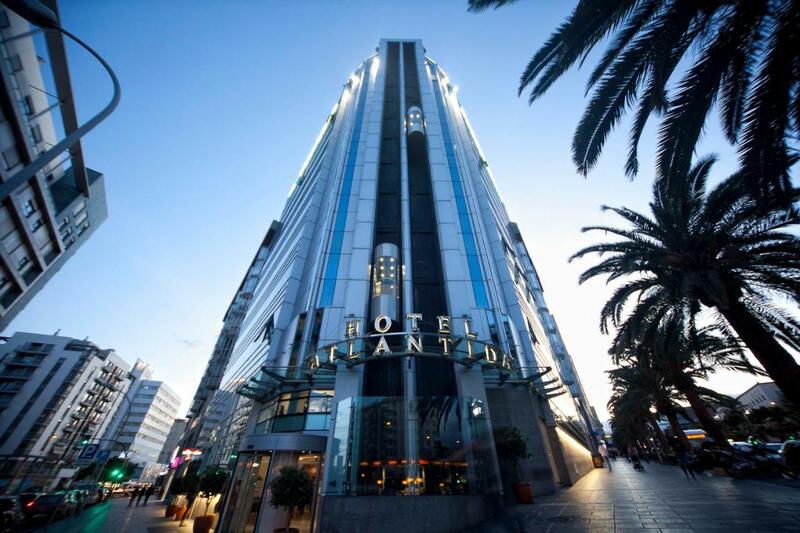 Skip to the most popular hotels in Santa Cruz de Tenerife Tenerife. 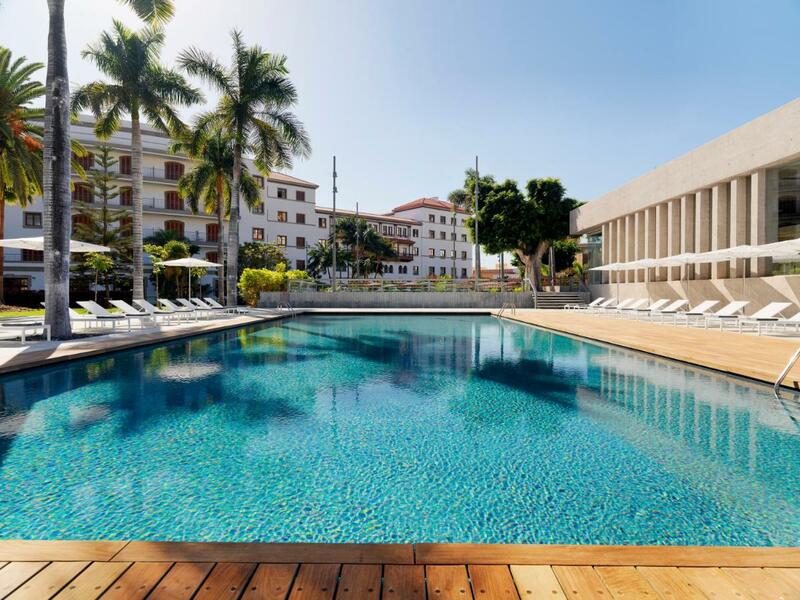 One of our top picks in Santa Cruz de Tenerife.In the heart of Tenerife’s Santa Cruz, this elegant hotel features free Wi-Fi and has an outdoor pool and charming gardens.The Colon Rambla is fronted by an impressive glass wall which continues around to the garden and outdoor terrace. 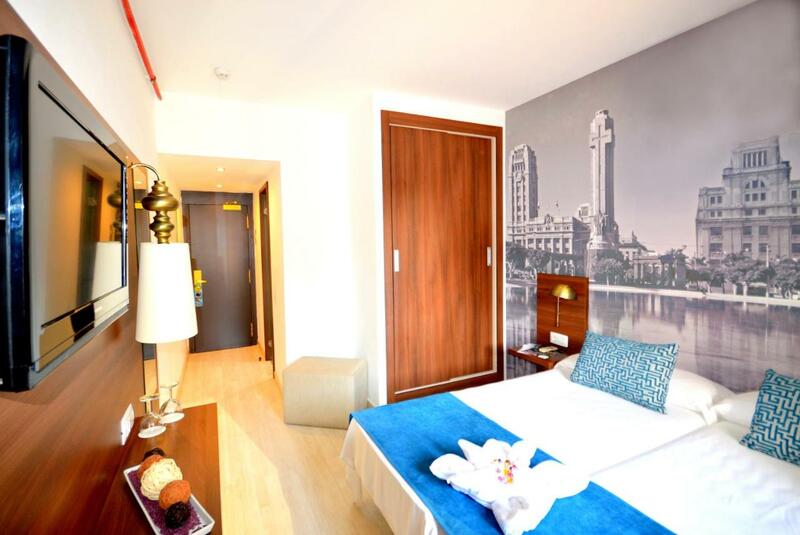 From the spacious interiors, you can enjoy the pleasant views of the Ramblas, which the hotel faces.Air-conditioned rooms have a plasma satellite TV, a minibar and a pillow menu. Non-smoking rooms and a laundry service are available.You can enjoy the hotel’s outdoor pool, terrace and pretty gardens, as well as the restaurant and bar with terrace. There are also several function rooms for meetings and celebrations. the 24-hour front desk can also organize car rental and parking.Conveniently located next to the García Sanabria Park and the Patos Square, guests can browse the surroundings and enjoy these lovely areas of Santa Cruz. In addition, the Colon Rambla is only 2 minutes from the port and under 10 minutes to the fabulous Teresitas Beach. Lovely pool view. Great location. Rooms were nice. The pool and garden were lovely, and staff really friendly and helpful. Large comfortable rooms. Proximity to a lovely park and the town centre. A lovely pool area and nice reception, with pleasant staff. Was upgraded on arrival to a lovely suite. 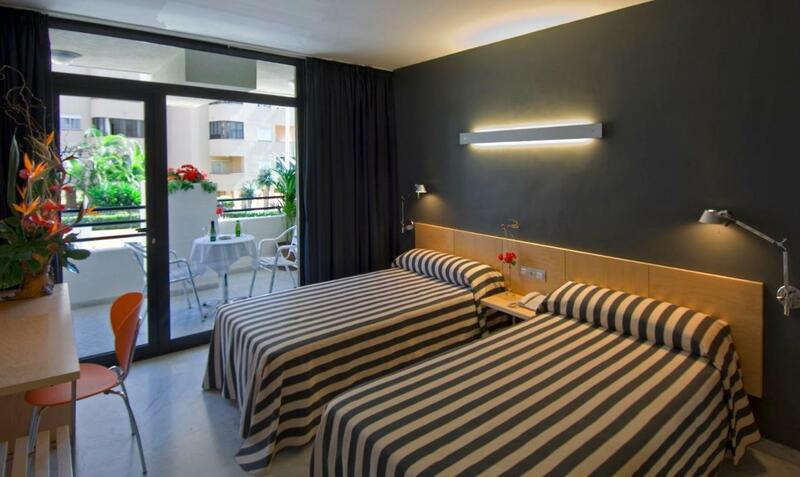 This chic urban hotel is next to García Sanabria Park, in the centre of Tenerife’s Santa Cruz. It offers a gym, and rooftop pool with park and Atlantic Ocean views.The Taburiente Hotel’s stylish, air-conditioned rooms have a TV and a safe. They feature wooden floors and have a private bathroom and free WiFi.Hotel Taburiente has 2 smart restaurants, serving Spanish dishes. There is a fashionable lounge bar with a glass-walled terrace.The property offers facilities for cyclists, such as bicycle storage, massages, personal trainers, and special menus, available on request.There is a 24-hour front desk, and you can hire a car from the tour desk. On-site parking is available for an extra charge.It is a 15-minute walk to the city centre, and you can take a bus to the city’s beaches, 4.3 miles away. It was very well run & the pool on the roof was fantastic! Nice hotel, next to park, with small rooftop pool, within walking distance of city centre. Comfy bed. Quiet room. Roof top sun area. Lounge area. Breakfast was fairly decent with decent selection of items. A good location about 10-15 minutes walk from the centre and next door to the lovely Garcia Sanabria Park. One of our top picks in Santa Cruz de Tenerife.This stylish, urban hotel with a spa is located in a colonial-style building. Grand hotel Mencey offers spacious rooms equipped with a flat-screen TV. Free high speed WiFi is available throughout.Iberostar’s smart rooms feature hardwood floors and a modern décor. In-room amenities include satellite TV and a mini bar. Some rooms have a balcony with city views and a private bathroom including a bathrobe, slippers and a hairdryer.Los Menceyes restaurant at Iberostar Grand Hotel Mencey serves a variety of local dishes. It is open for breakfast and dinner. Guests can also relax in the hotel’s Bar Casino or in the lobby bar.The hotel is situated in a quiet residential area, just 150 feet from García Sanabria Park. It is just 5 minutes’ drive from the ferry port with regular crossings to the other islands. Tenerife North Airport is 8.7 miles away. There are several bus stops within 5 minutes’ walk of the hotel. Private parking is available at a location nearby for an additional cost. Perfect accommodation also with children, excellent breakfast with lots of choice. Friendly staff. Clean rooms. Very nice gym and swimming pool. The hotel was lovely, not at all stuffy which is something that we have found with previous 4/5 star hotels, everything was well maintained and clean. The whole territory of the hotel is like a bit of a paradise in the middle of a modern busy city. Ideal for relaxation, meditation and staying together with a loved one. A wondreful place! In Santa Cruz’s financial and commercial center, Silken Atlántida offers panoramic sea views from its glass lifts. It has a rooftop terrace, and rooms with free Wi-Fi and hydro-massage showers.The hotel has an on-site fitness center, as well as a terrace, 2 saunas and 2 hot tubs. The Silken Club Executive Floor also offers an exclusive service including 24-hour coffee and cake, free Wi-Fi and daily newspapers.The Atlántida Santa Cruz has bright, attractive rooms with classic décor. All air-conditioned rooms feature a safe, satellite TV and city or sea views.The restaurant offers a selection of Mediterranean cuisine, traditional Canarian dishes and a varied wine selection. Guests can enjoy local wines and pintxos dishes in the hotel’s Gastrobar.The Atlántida is a 15 minute drive from Playa Teresitas Beach and a 10 minute walk from Calatrava’s impressive Convention Center. Tenerife’s Norte Airport is just a 10 minute drive away. The bed was comfy! Breakfast was tasty, the coffee was great! 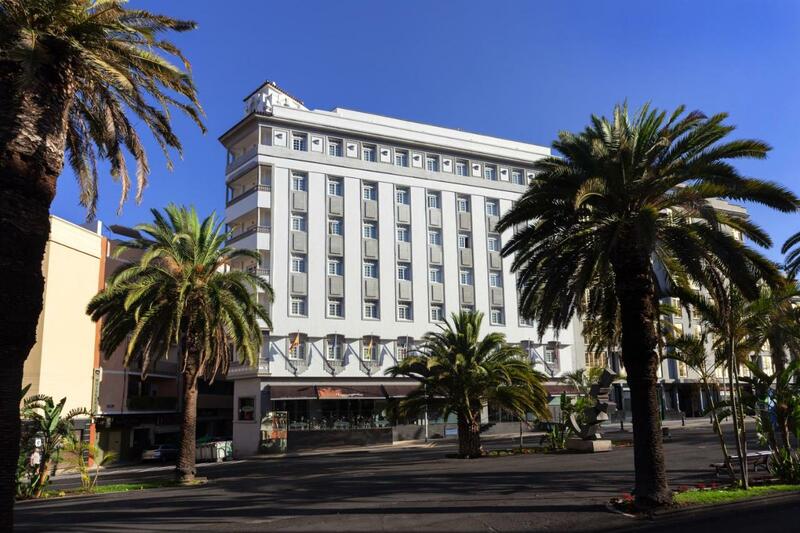 One of our top picks in Santa Cruz de Tenerife.Hotel Príncipe Paz is located in central Santa Cruz de Tenerife, in the city’s historic and commercial centre. It offers a 24-hour reception and rooms with satellite TV and a minibar.The hotel’s restaurant offers breakfast with great views over Príncipe Square. The café serves tapas, sandwiches and salads.The Príncipe Paz is close to Santa Cruz’s city hall, and you can drive to the Tenerife Auditorium and Congress Centre in 8 minutes. Teresitas Beach and Tenerife Norte Airport are just 15 minutes’ drive away. – The restaurant’s food: we ate 3 times in the hotel’s restaurant and their food was really delicious .. The hotels location in the city was very good, the room was clean and the staff was really nice. Quite location in a busy city surrounded by parks, cafe bars, shops. Comfortable bed. Good free wifi. Good views of park & ocean from 6th floor. Pleasant staff. Clean room. Excellent location in a quiet square overlooking a park. Easy to get to from the port, I arrived by ferry, and with lots of good places to eat nearby. The hotel also had a nice lounge to sit in overlooking the square. One of our top picks in Santa Cruz de Tenerife.With a convenient central location and comfortable, clean, air conditioned accommodations available at great rates, the hotel is an excellent base whatever your reason for visiting Santa Cruz de Tenerife.Whether you want to relax, shop or do business in the city, the hotel’s convenient location makes it a great base. Situated in the heart of Santa Cruz, in the business center but just 10 minutes away from the beach of Las Teresitas, all that the city has to offer is within easy reach. The central location means the hotel has excellent transportation connections; there are bus stops and taxi stands just 150 feet away, as well as a large public parking lot. Both the island’s North and South airports are just 10 minutes and 40 minutes away respectively and Santa Cruz’s harbor is only 5 minutes away. The hotel can give you rare combination – central location and quiet but it’s necessary to ask a room with inside window. Santa Cruz is nice. The hotel is virtually in the centre of town. Everywhere is walkable. The key/lock for my bedroom didn’t work properly and the place was understaffed, meaning breakfast worked slowly. The telephone in my room did not work. This hotel is right in the centre of the tourist area. Close to the “Plaza d’Espana. and many local restaurants and bars. A short walk takes you to the local park, round there it is not so touristy and the restaurant and bar prices drop considerably. Staff spoke English and were very helpful. There was no extra charge for leaving the luggage after check-out. The breakfast was continental, but varied. Eat as much as you like. Definitely would stay here again. Perfect location, very nice staff, good breakfast and reasonable price. 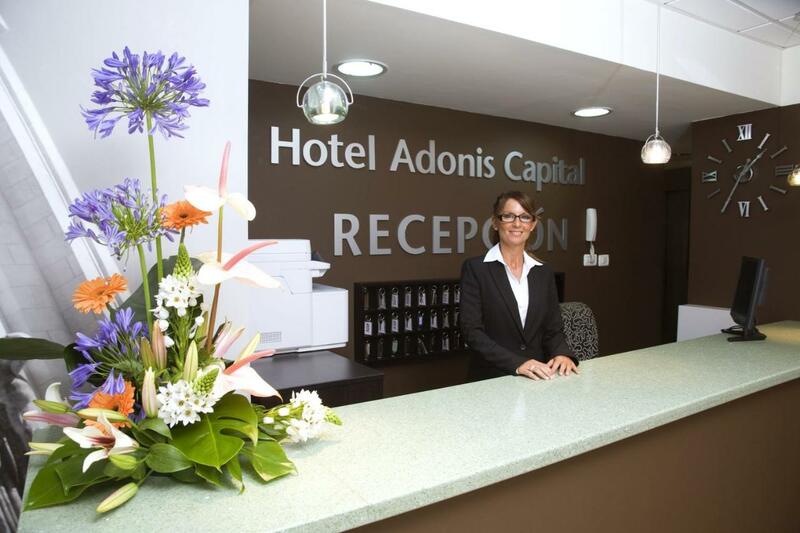 One of our top picks in Santa Cruz de Tenerife.Set in central Santa Cruz de Tenerife, Hotel Adonis Capital is surrounded by shops, bars and restaurants. Rooms include free Wi-Fi and plasma-screen TVs.This functional hotel has a café with panoramic views of the port and the Plaza de la Candelaria. A buffet breakfast is served here every day, and both free Wi-Fi and newspapers are provided.Rooms at the Adonis are spacious and bright. All rooms have a private bathroom and some also have a balcony with great views.Staff at the Capital’s 24-hour reception can arrange car rental or provide information about what to see and do during your stay in Tenerife. A computer is also available at reception for guests to use for free.The Adonis Capital is set within Plaza de la Candelaria, just 5 minutes’ walk from the Canary Islands Parliament. There is easy access to public transport, including trams and buses. Tenerife North Airport is 6.2 miles away and the nearest beaches are 15 minutes away by car. Cosy rooms. Nice breakfast (not very big, but quality is at the level). Great placement at the walk-only street. A lot of nice restaurants around. super-central in santa cruz city. lot of places in walking distance. old fashioned room, but new balcony. Couldn’t find the bar that was mentioned on web site. One of our top picks in Santa Cruz de Tenerife.Located near Santa Cruz’s yacht club, this hotel is 10 minutes’ walk from the city centre. It offers modern air-conditioned rooms with a private balcony, flat-screen TV and free Wi-Fi.The hotel has a restaurant and a bar-café serving drinks and light meals during the day. There is also a variety of restaurants in the surrounding area.Teresitas Beach is 4.3 miles away, and Los Rodeos Airport is 6.2 miles away. There is a bus station located 5 minutes’ walk away from the Hotel Nautico.The Teide National Park, a UNESCO World Heritage Site, is around 40 minutes’ drive away. Very clean, they were cleaning the room each morning. Good area, pleasant. The staff very friendly and helpful. Wifi was good a little further from city but walkable. One of the receptionist was very helpful with calling a taxi for us. Featuring a seasonal outdoor swimming pool and sun terrace, Occidental Santa Cruz Contemporáneo (formerly Barceló Santa Cruz Contemporáneo) is situated in central Santa Cruz. This modern hotel offers free WiFi and an on-site restaurant.Air-conditioned rooms come with a flat-screen TV, minibar and a private bathroom with a hairdryer.The hotel’s Alfredo Restaurant offers a selection of Mediterranean and local dishes. There is also a lounge bar serving cocktails. You will find many dining options and shops in the surrounding area.There are also event rooms suitable for meetings and conferences at Occidental Santa Cruz Contemporáneo.Tenerife North Airport can be reached in a 20-minute drive from the hotel. Clean standard hotel, walking distance from the port, park and pedestrian areas. Prompt taxi calling service in the early AM hours. Very well located, walking distance from pretty much anything in Santa Cruz. The hotel is modern and fresh, and the rooms are clean, comfortable and nicely furnished. Housekeeping does an excellent job so you can find your room impeccable every day. The breakfast buffet has everything you could want and everything is top quality: sweet, salty, Spanish, English, warm and cold. The front desk staff are very friendly and helpful, both for visiting Santa Cruz and to help us out because the airline lost our bags. Excellent location for our stay. Good Parking facilities and very helpful, friendly staff. Location is good. The lady in reception was very friendly, I would give a Star for her good services. It is a clean modern hotel and the staff on reception were very nice. Our room had a very large comfortable bed with good pillows, we slept well here. It was generally quiet at night, good windows (we were there during the Carnival and still slept soundly). The bathroom was good. We liked having a fridge. Wifi was good and simple (no need for complex passwords etc). We liked walking to town through the park and found some great restaurants nearby too. Overall it was a positive experience. One of our top picks in Santa Cruz de Tenerife.Set in the centre of Santa Cruz and 5 minutes’ walk from the city’s port, Hotel Adonis Plaza features a 24-hour reception and a restaurant. Its simple rooms have free wired internet access.All air-conditioned rooms at Hotel Adonis Plaza have a TV and a minibar. There is a fully equipped bathroom with a hairdryer.Shops, bars and cafés can be found around Plaza de España, 5 minutes’ walk from the hotel. The nearest beaches are less than 1.2 miles away.Ferries to neighbouring Canary Islands leave from the nearby port. San Cristóbal de La Laguna and Tenerife Norte Airport can be reached in 20 minutes’ by car. I have to say that I came specially for the Carnaval…. if you like Carnaval it’s the best place to stay. If not, change your dates ! I like this central location, in the Pedestrian center, not really far away from the bus station, plenty of shops and restaurants. It’s also easy to visit Santa Cruz by foot. That it was central to the city which is perfect for the carnival. The staff were friendly and tried to be as helpful as they could be. Comfy bed, clean room, however the cafeteria / restaurant is being refurbished so breakfast is taken at the nearby sister hotel. Reasonable choice for breakfast, could not really fault it. The hotel is located on a very large plaza, so if you visit this hotel during Carnaval or other Fiesta times don’t expect to get an early nights sleep. The bed was huge and the bedding very good quality.Plenty really hot water in the shower at any time of day or night. Reception staff welcoming and even though we arrived from the port at 8.45 we were given our room at no extra charge.In a great location next to the Plaza de Espana and close to bus stops ,tram stops and the inter-island ferries. Lots of very good inexpensive eating places in wasy walking district – watch out for special meal offers on certain days. The bathrooms were great, the staff were really nice, cleanliness could be improved, but overall a really good place. The above is a top selection of the best hotels to stay in Santa Cruz de Tenerife Tenerife to help you with your search. We know it’s not that easy to find the best hotel because there are just so many places to stay in Santa Cruz de Tenerife Tenerife but we hope that the above-mentioned tips have helped you make a good decision. We also hope that you enjoyed our top ten list of the best hotels in Santa Cruz de Tenerife Tenerife. And we wish you all the best with your future stay!